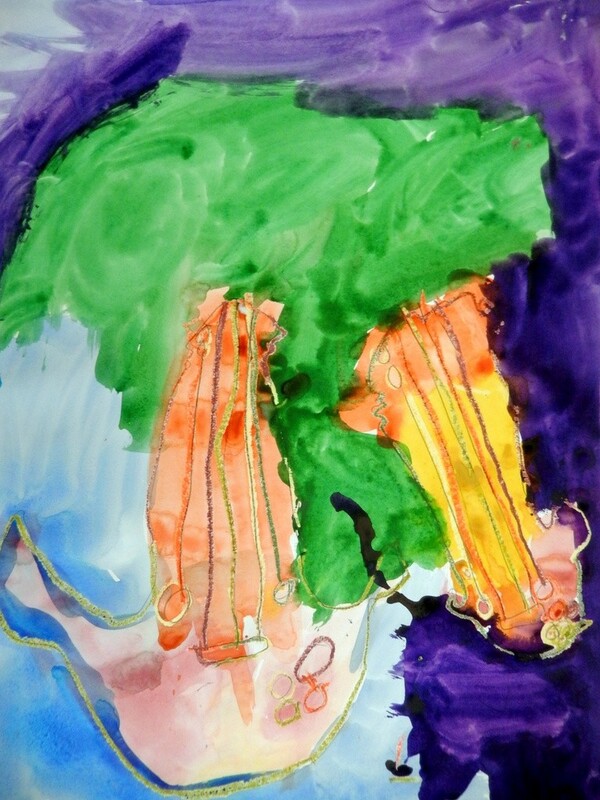 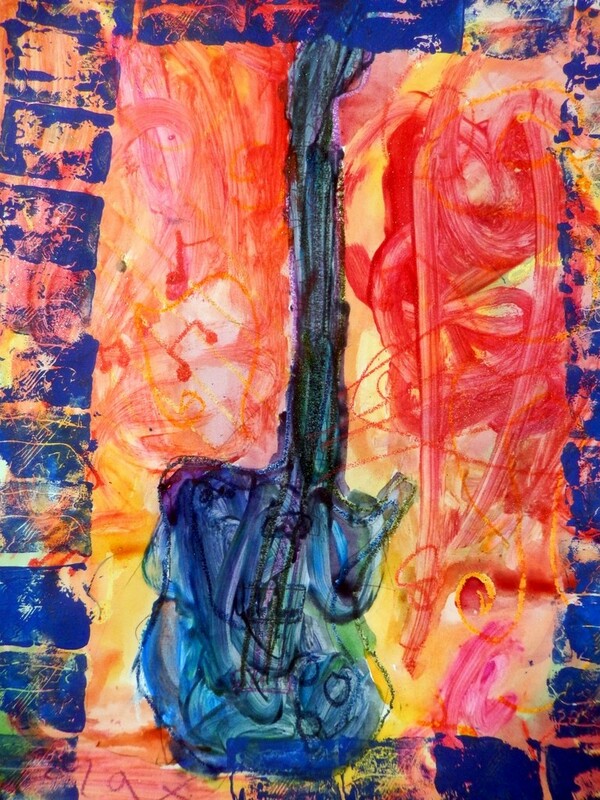 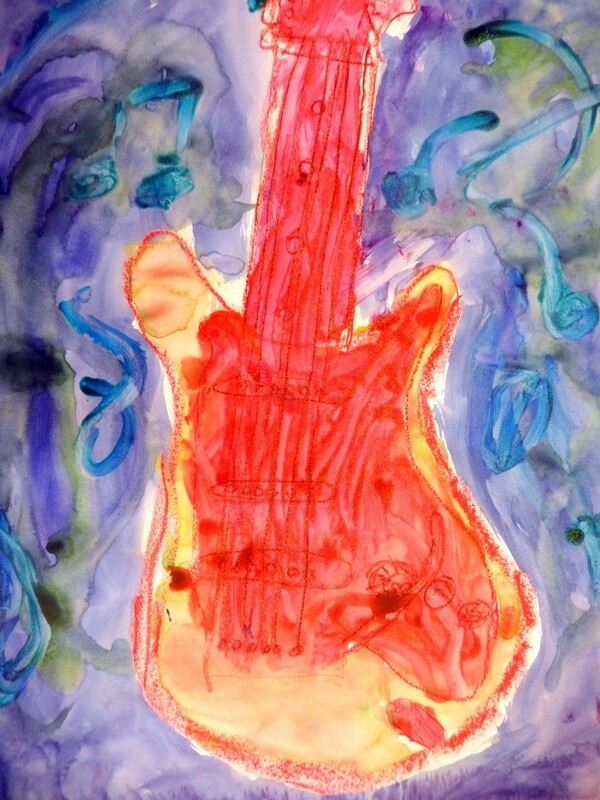 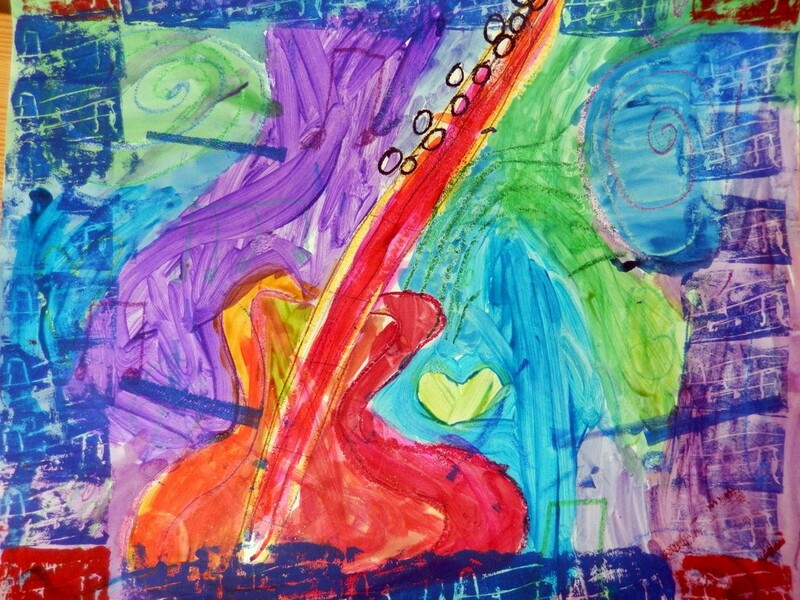 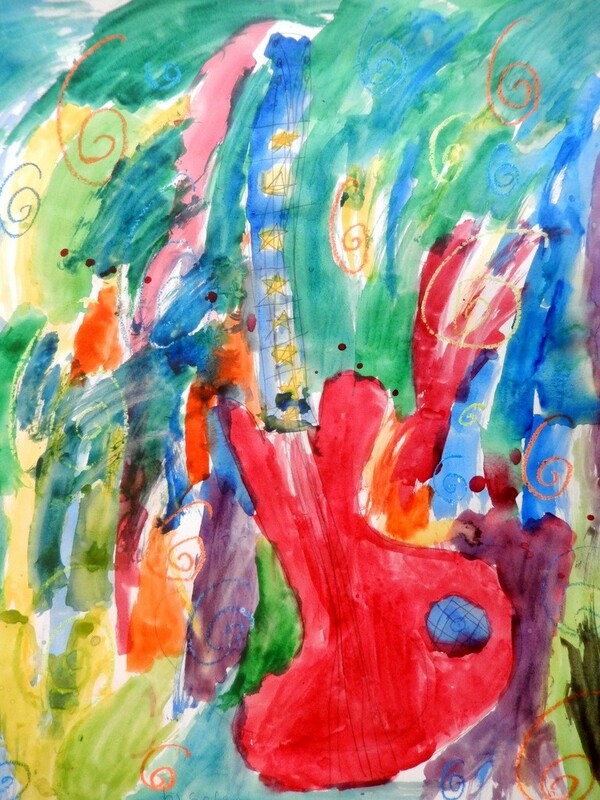 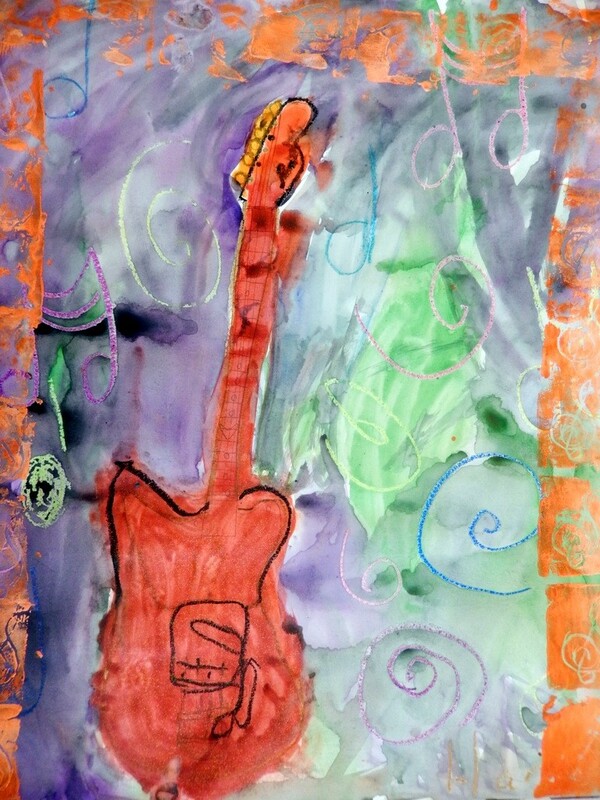 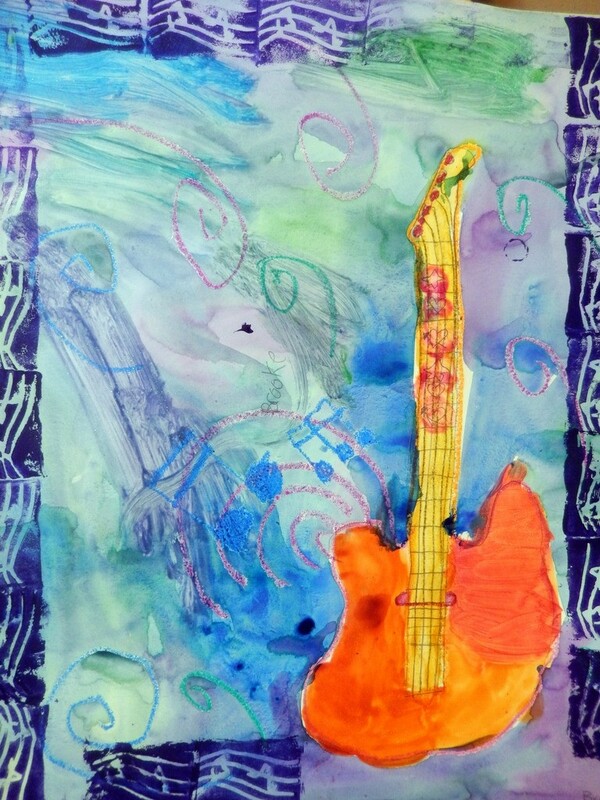 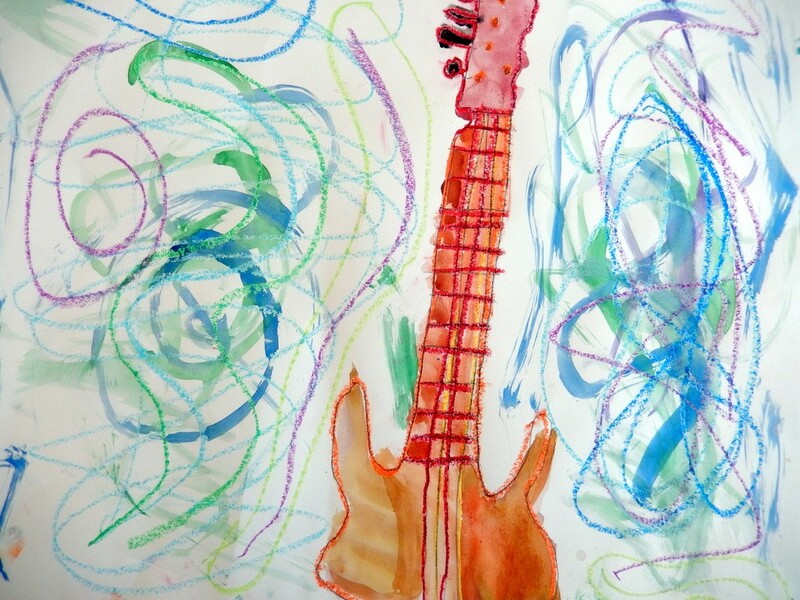 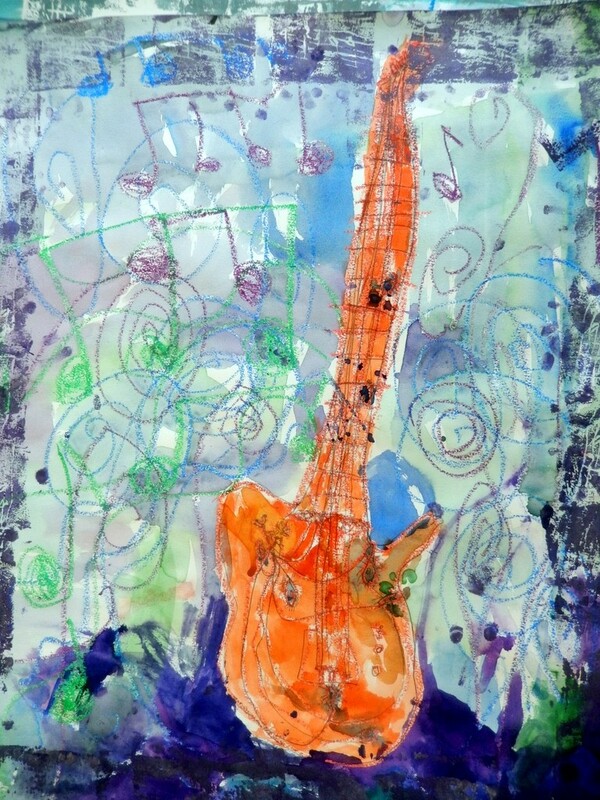 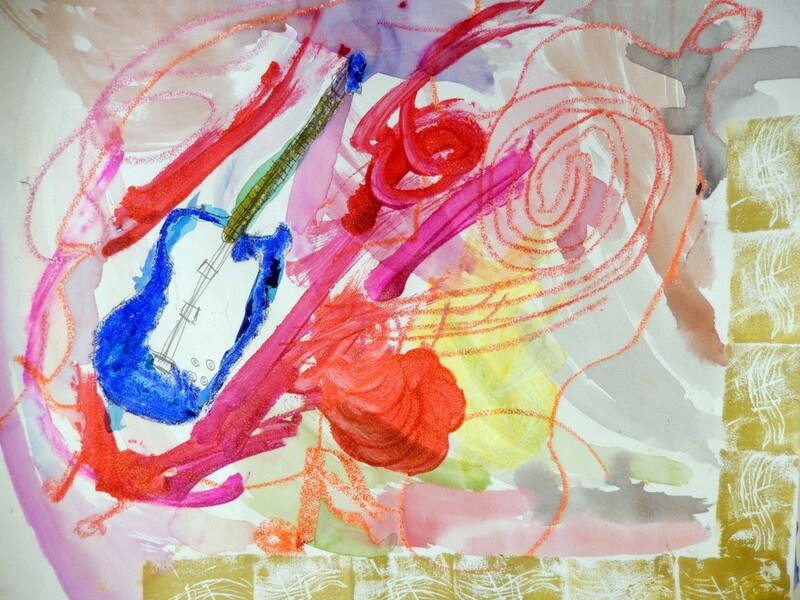 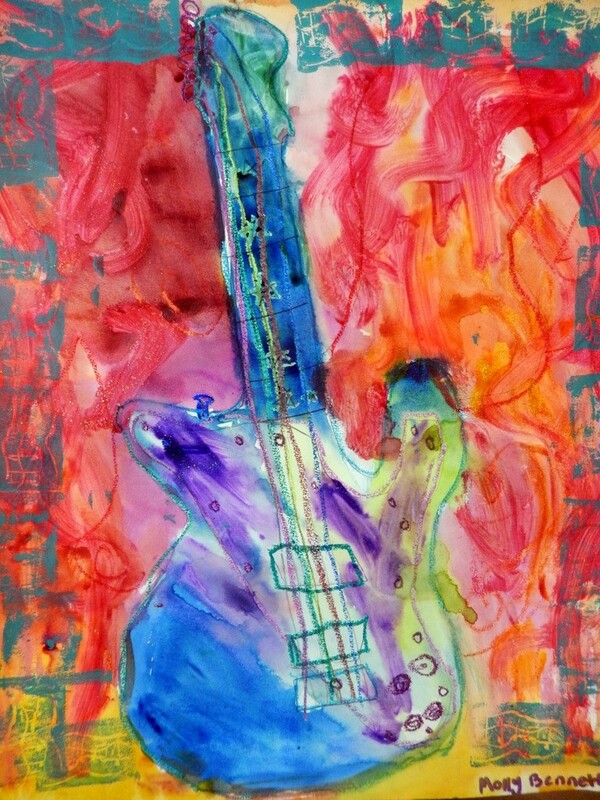 Ms. Keily’s third-graders made these musical masterpieces with tempera paint, oil pastel, watercolor, and block printing. 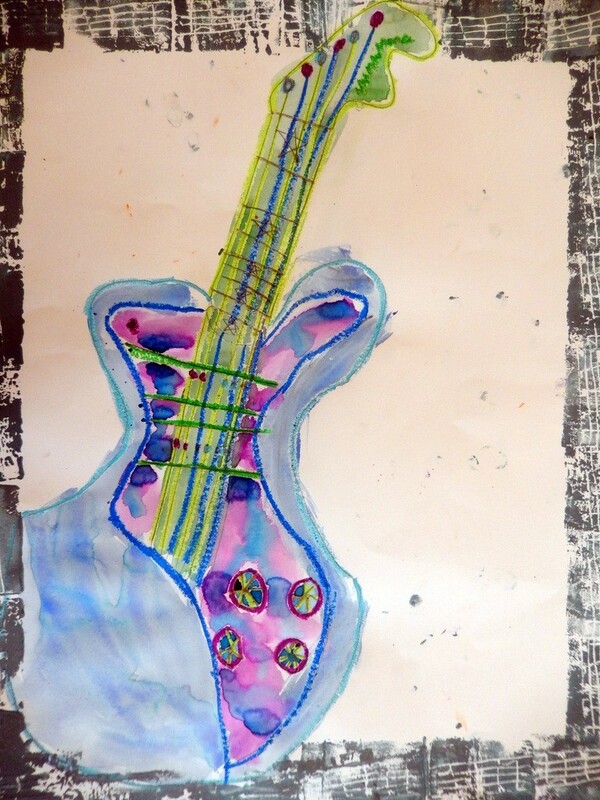 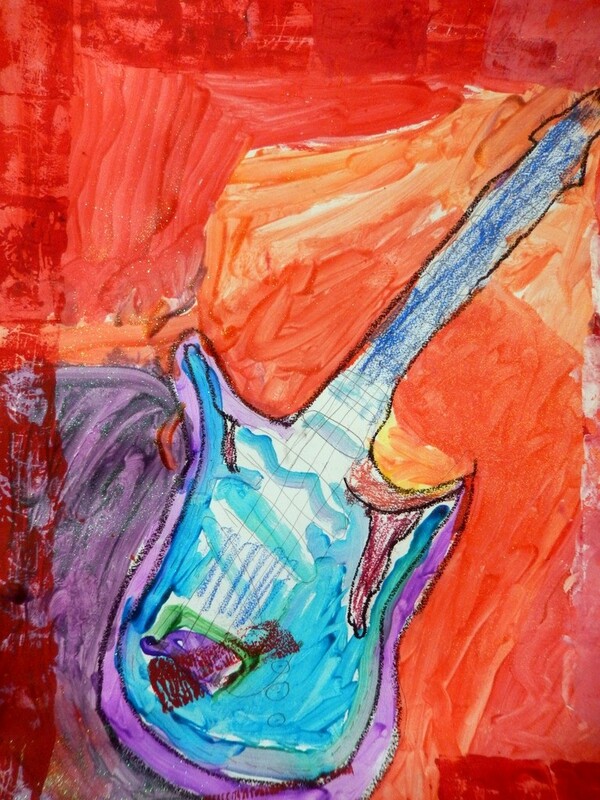 They closely observed photos of electric guitars, and then drew their instrument of choice. 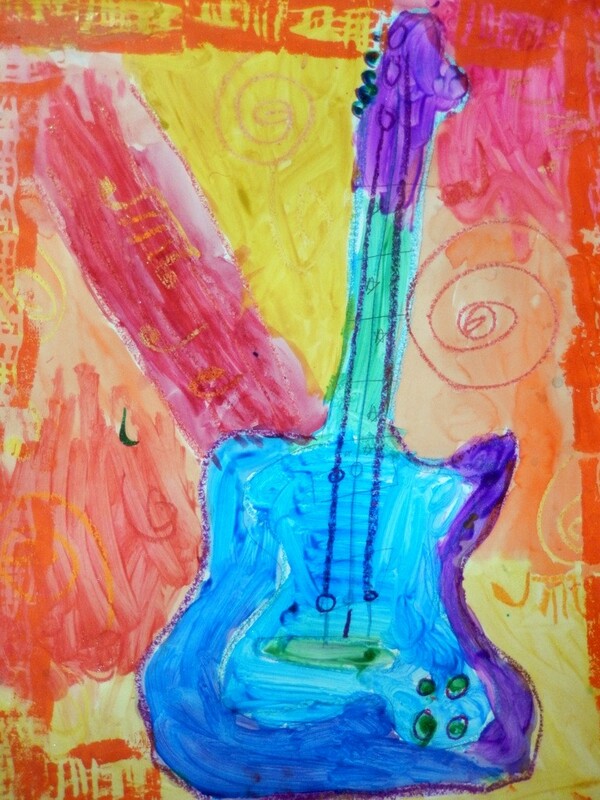 They painted their instruments with either warm or cool colors, and make their background the opposite in order to create contrast. 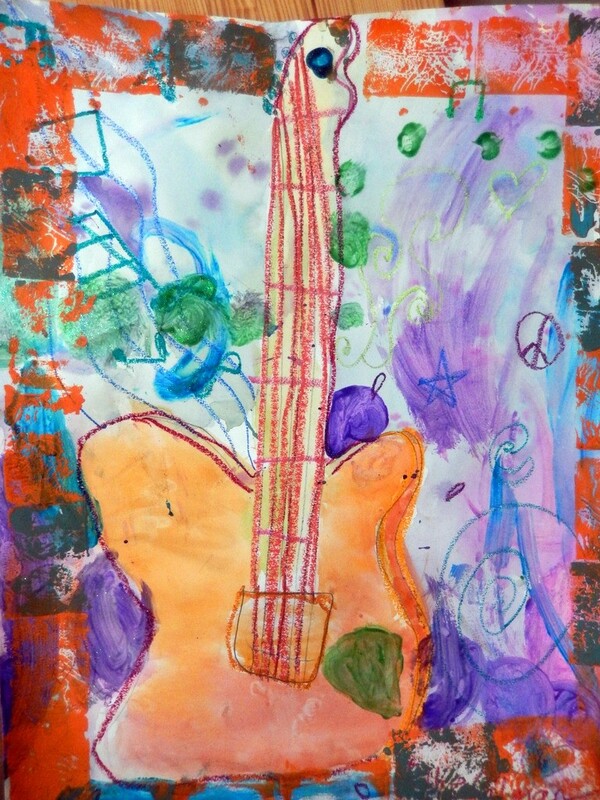 Last but not least, they created linoleum block prints to frame their composition.